NEW YORK—There might now be more young classical musicians launching their careers than Mark Peskanov remembers ever seeing before. It might even be a record, he says. 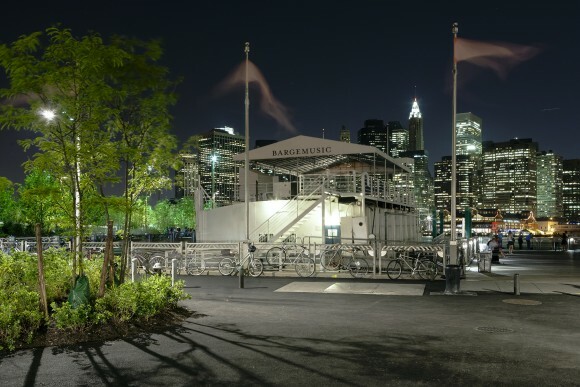 “But I don’t think it’s the same story with the number of concerts [presented], so of course, I have concerns,” said Peskanov, head of the Brooklyn waterfront chamber music series Bargemusic. Peskanov sees the barge as a place for him to create opportunities—to properly present young musicians and help them along with their careers, and to give audiences the opportunity to experience great music of great variety. “If you are a really fine musician and performer, sooner or later, you will be invited to perform at the barge,” he said. Bargemusic presents both established and young musicians, and Peskanov sees programming performances at the barge as an opportunity to allow young musicians to showcase their gifts. 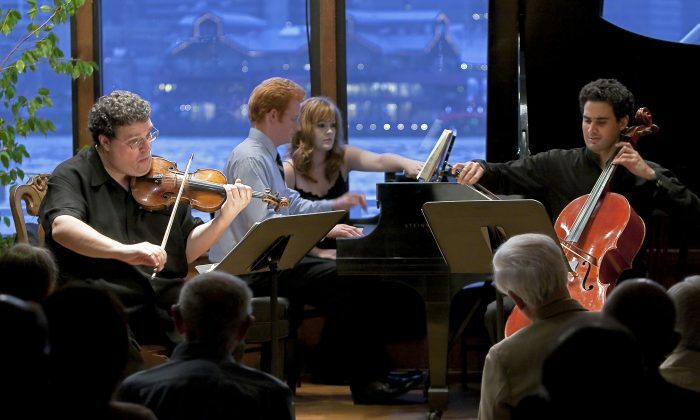 Bargemusic was established 40 years ago by violinist and violist Olga Bloom. She picked out the 100-foot-long steel barge from the New York Harbor to serve as a floating concert hall, hosting beautiful chamber music. Over the years, the barge has been a stalwart center of culture for the waterfront community, seeing it through its transformation from an industrial site to the trendy, upscale neighborhood it is today. The barge, the Brooklyn Bridge Park, and the restaurants clustered in the area have undoubtedly contributed to the rise in value of the neighborhood. Bloom had high requirements when she started searching for someone to take over Bargemusic, Peskanov said. She wanted someone who could pass on the traditions of the great musicians from one generation to the next, with an uncompromising artistic level of music-making. Peskanov’s own introduction to professional chamber music came from the eminent violinist Isaac Stern, who extended an invitation to him while on tour in Japan to inaugurate the opening of the Suntory Hall. Peskanov, also a violinist, was asked to play the viola part for a Schubert quintet and Brahms sextet. “I learned to play viola so we could make music together,” said Peskanov. As a fast-rising young musician, Peskanov was mainly playing concertos with major orchestras all around the world. At the same time, he was one of those young musicians invited by the likes of Stern, Yo-Yo Ma, Emanuel Ax, and Mstislav Rostropovich, “those mature, great musicians,” to play chamber music, so that they could pass on what they knew. “She was larger than life,” he said. Peskanov became involved with Bargemusic gradually at first, but by 2003, he had promised to work on programming and artistic directing, and soon he was turning down big engagements with orchestras to work on the project instead. In 2005, he officially became the president, executive director, and artistic director, and Bloom retired in 2008. Being so hands-on, he is able to program concerts according to whatever schedule he would like. There are engagements two years out already confirmed, but he still has the flexibility to add concerts in a month or two, if he so wishes. Sometimes a concert sells out quickly, and if he is able, he will add another in a week or two. Some cycles of certain composers turn out to be very popular, so he will give those cycles a repeat performance. Peskanov programs everything from early music to new music, with every instrument and ensemble instrumentation he can think of. “I just have that appetite, I love it,” he said. Other presenters, when faced with 10 pianists with widely different reputations—maybe one is a specialist, another recently won a big competition, another is sometimes so-so and sometimes so inspired, and so on—have to make tough choices to fill seats. “Well, when you have as many concerts as we do, I will invite them all,” Peskanov said. If they all have talent and potential, they deserve a chance to be heard and a presenter who will showcase them properly, he said. Peskanov tries to invite young musicians to give solo recitals as well as play some chamber music, to help them along with their careers. It’s been heartening to see musicians come to the barge when they’re starting out, then return years down the road, after they’ve become household names, he said. Peskanov constantly has people contacting him about playing at Bargemusic. All too often, he says, they try too hard to be different, as there is a lot of pressure to stand out in order to make a career. He wishes people would simply play with complete sincerity and bring great joy to their work. Then the expression is all them, and there is nobody else like them. “When that depth of expression comes, it is going to be amazing,” he said.